SpaceX had enjoyed a string of successes since fighting back from the early days of its history. After suffering three Falcon 1 failures in succession, the fourth flight provided the company with its first completed mission – prior to achieving a huge amount of success with its Falcon 9 rocket in 2008. The CRS-7 failure, the 19th launch of the Falcon 9, was tasked with loft the seventh Dragon spacecraft on a key resupply mission to the Space Station, with the aim of adding to Falcon 9’s string of successes. However, an overpressure event in the Second Stage 139 seconds after liftoff resulted in the loss of Dragon and the disintegration of the Falcon 9 launch vehicle. 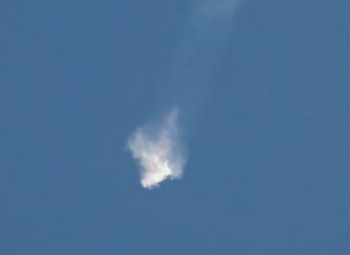 The cause of the failure was not immediately known – with only a short message shortly after the loss from Mr. Musk providing some information that pointed to the Second Stage of the Falcon 9. That note placed an immediate focus on the helium pressurization system’s bottles in the Second Stage of the Falcon 9. During the blackout of the initial investigation period, SpaceX worked to recover any remaining items of the destroyed Falcon 9 to aid its knowledge base. It is understood that most publicly recognizable pieces of debris that have been found recently were both solar arrays with covers and one landing leg. There were also notes (L2) about interest in the rods that support the helium bottles inside the LOX tank in the second stage. It was suggested that one of these rods – or struts – may have failed during ascent. Such a scenario would have resulted in a loose bottle – which are classed as “buoyant” – impacting with the surrounding inners of the tank. 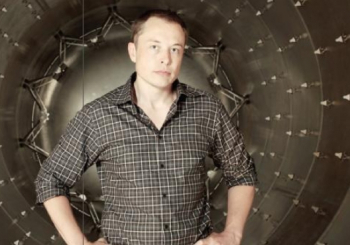 Mr. Musk confirmed that the failure of a support strut for a helium bottle is the leading theory, aided by ground-based stress testing that resulted in one of the struts failing, leading to metallurgy evaluations showing a weakness in the material. “The preliminary conclusion is that the failure arose from a strut in the Second Stage LOX tank – that was holding down one of the COPVs,” noted Mr. Musk during Monday’s media call. 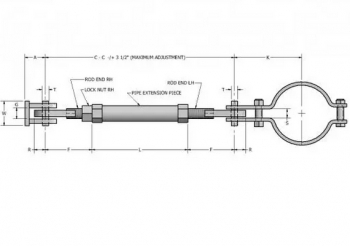 The struts – which were supplied to SpaceX by a contractor – are typically used for tank mounting applications and are made up of a shaft with a rod end (containing a spherical bearing) screwed on at one end, and either another rod end or a bracket screwed or welded on at the other end. The rod end would fit into a bracket on the tank wall, with a nut/bolt combination running through the bracket and rod end, anchoring the assembly. There appears to be a focus on a bolt in the strut assembly. Mr. Musk explained that ground testing of such hardware isn’t fully sufficient to mirror the stresses such a strut undergoes during flight. “It’s quite unique to rockets that as the stage is accelerating, the buoyancy increases proportionate to the G-loading. It might seem counter-intuitive that as the rocket is accelerating that something in the tank would want to go ‘up’ more – but that’s basically what happens. 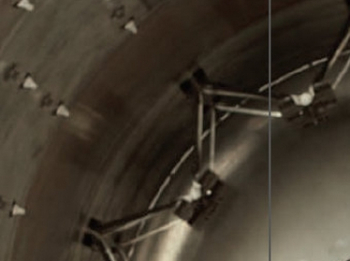 (Image left: An example of a strut – not a SpaceX graphic). 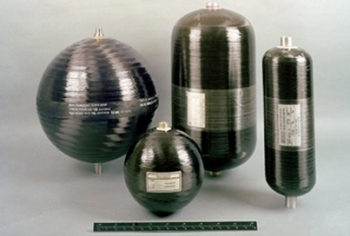 With the helium bottle loose – and likely becoming damaged – it is believed a large amount of helium would have been released into the LOX tank, resulting in the overpressure event. It was not immediately obvious the strut was the hardware that had failed, based on flight experience and ground testing, resulting in data on hundreds of struts – including those that had already flown without issue. Also, the struts were designed to handle 10,000 lbs of force, per its certification. However, based on the period of when the Falcon 9 failed, it is estimated that the force would have been around 2,000 lbs. SpaceX also examined the CRS-7 Falcon 9’s processing flow, reviewing closeout photos that showed no obvious issues with the struts inside the tank during assembly. “It’s proving to be quite a puzzle,” added Mr. Musk. The theory revolves around a bottle breaking free, twisting around, resulting in its helium line “pinching” off the helium manifold, which subsequently restored pressure in the helium system. However, it would have still released enough helium into the tank to cause the Second Stage to fail. The event happened within a quarter of a second, with the overpressure occurring at speed due to the propellant not being used – given the rocket was still in first stage flight. The immediate forward plan to return the Falcon 9 to flight is to change the struts inside all future tanks, independently tested to ensure their quality before being used in the rocket. Based on the replacement schedule, Mr. Musk believes the impact to SpaceX’s manifest will only be a matter of months, with the next flight – with a yet-to-be-decided payload – expected no sooner than late September.